For many years, Dennis and Lillian Klepp, an ordinary couple from Wisconsin, were actively involved in their church’s ministries. They always had a heart for orphans and participated in a number of short-term mission trips. Though they had faithfully been serving God for a number of years, they were determined to do more. Seeking God’s wisdom, Lillian asked God to show her what His will was for them. In 1999, Lillian heard a speaker talk about the plight of orphans and widows in Sudan. For more than 20 years, Sudan was in a vicious civil war that left more than 2 million people dead and 6 million people homeless. The fighting, hunger and disease left thousands of women and orphans with no place to go. Stirred by this message, Lillian prayed a simple prayer, “Lord, what can I do?” The Lord’s response? “Sell all you have and give it to the poor.” Believing that this was God’s call to them, Dennis and Lillian sold all of their belongings and moved to Sudan in 2001 to begin their journey of giving to the poor with their lives. What began with the clearing of land and the making of bricks by hand, quickly became a home and haven for orphans in the region. Caleb was one of the first orphans to arrive at Harvesters. Two weeks old and without a mother, Caleb had been fed nothing but sugar water since his birth. Even though she was sure he would die, Lillian took in Caleb, fed him, cared for him, and prayed for him. Caleb is growing into a godly young man, the first of many who are being transformed by the extraordinary work of this couple who simply obeyed the call of God. 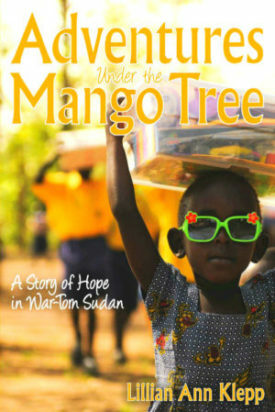 Hearing the tremendous needs of orphans in Sudan, an ordinary woman in Wisconsin prayed, "Lord, what can I do?" His answer was life altering! "Sell all you have and give it to the poor," He said.